Let's start off the New Year with an interview with mystery author Sandra Nikolai! There are some who say books set in Canada don’t have or won’t find an audience – people want to see New York or Los Angeles. Talk to me about the Montreal, PQ setting. Would the story have worked if you had set it in Chicago, Toronto, or London? Do you think the Montreal setting draws new readers from hither and yon? I chose Montreal as the setting for my book because I grew up in this cosmopolitan city and know it well. As the largest French-speaking city in North America, Montreal is “a little piece of Paris” that attracts millions of tourists from all over the world each year. I wouldn’t have had as many opportunities to integrate certain French aspects into my story had I chosen a place outside the province of Québec. As far as major crime is concerned, Montreal definitely holds its own in capturing international headlines and provides an interesting backdrop for the unfolding of my murder mystery. So, yes, I believe the Montreal setting will draw readers from all parts of the globe. 2. Your series features an investigative duo. FALSE IMPRESSIONS is the first book in the Megan Scott/Michael Elliott mystery series. Why did you choose to have a pair rather than a solo operative? Did you play around with other ideas for a pair (i.e. two females, two guys) before deciding on Megan and Michael? I wanted a pair of sleuths—one female, one male—as my main protagonists from the start. I suppose I was influenced by TV shows in the 1980s that featured a pair of investigative sleuths, like Remington Steele and Laura Holt (starring Pierce Brosnan and Stephanie Zimbalist) and Moonlighting (starring Bruce Willis and Cybill Shepherd). My main characters, Megan and Michael, share the same code of ethics, but their approach to solving a crime differs in some ways. Where Megan’s work as a ghostwriter keeps her behind a desk most of the time and she’s more comfortable digging up clues through a paper trail, Michael’s work as investigative reporter means meeting informants in dark alleys late at night. In FALSE IMPRESSIONS, their worlds overlap to create tense and conflicting moments for both of them. In spite of their differences, Megan and Michael have good chemistry between them, and a potential romantic involvement is something I can build on in future books in the series. 3. Plot, plot, plot... Is plotting difficult or easy? Fun or stressful? How do you manage to move the plot along while playing fair with readers, without giving away too much? I begin with a plot outline but usually end up revising it a few times. It’s fun when everything falls into place and unnerving when it doesn’t, but the challenge of making all the pieces fit properly is worth it in the end. It’s important to play fair with readers and present every clue in a timely manner so that nothing is held back. It shouldn’t be too easy to solve the mystery either, so striking the right balance is the target. I use my plot outline to mark the spots where I’ve introduced the clues. It helps me to keep track of them. After I complete my final draft, I’ll put it aside for a week or so. I’ll re-read it with fresh eyes and revise where required. Then I’ll send it to my critique group for review and, finally, to my editor. These checkpoints flag any pacing or plotting problems before the manuscript is published. 4. One of the reviews on AMAZON says “elegant writing” – WOW! That’s got to make you feel good! So, how did you learn your craft? Yes, it was a wonderful compliment and made my day! I think the first set of picture books I received as a child inspired my love of books. Call me a geek, but reading and writing were my preferred subjects in school. Over time, I grew to love mysteries and couldn’t get enough of them. 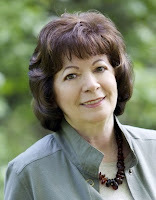 Reading all sorts of mystery novels and how-to books on plotting mysteries helped me to learn the genre, but writing helped me to develop a style and find my niche. I haven’t stopped learning. It’s not always easy to find a different or more creative way to express a thought, but I love what I do, so that helps. 5. Betrayal is a major theme in FALSE IMPRESSIONS. Talk to me about writing this emotion. How did you feel as you wrote it? How did that theme influence the writing and inform the characters? We’ve all experienced betrayal to a degree. Whether a close friend turned against us or an unfaithful partner was the reason a relationship ended, we understand the pain of deceit and the subsequent feeling of loss. I had to draw on these emotions so that I could get a sense of how my characters might feel in the story. I also researched the topic and was able to “borrow” interpretations and adapt them to the instances of betrayal that run through my book. 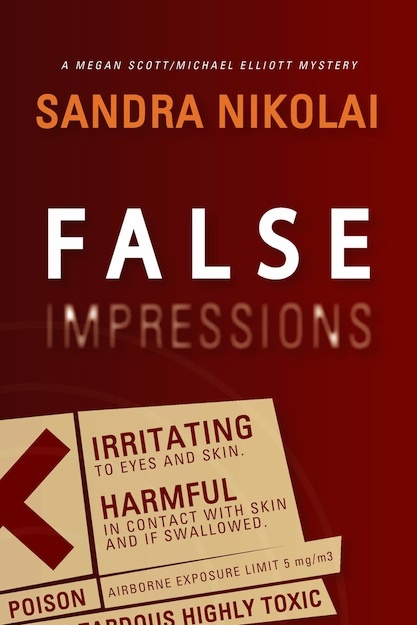 Ironically, many of the characters in FALSE IMPRESSIONS experience betrayal in one form or another. 6. If you could bring any fictional character (from any genre) to life for a day, who would you choose and why? 7. F. Scott Fitzgerald once said: “Writers aren’t exactly people... they’re a whole lot of people trying to be one person”. Let’s hear your thoughts on this. A writer’s objective is to weave a plot through his characters and create a cohesive artistic effect. Since interesting characters have complex personalities, their moods, emotions, and opinions can change from one moment to the next. To be in everyone’s head at the same time and keep the storyline organized and flowing is no small task for a writer, but oh, so much fun! It’s what makes writing mysteries all the more exciting. Not only do mystery writers have to introduce characters that are potential suspects, they also have to keep tabs on each character’s thoughts, words, and actions so as not to disclose the identity of the real perpetrator too soon. Another way Fitzgerald’s comment can be interpreted is along more technical lines. Today’s writer is also a researcher, proofreader, critiquer, and in some cases, book formatter, cover designer, and independent publisher. Now we’re talking! 8. If Michael Elliott were going to enter the world of online dating, what would his dating profile say? Hi, everyone! I’m a man of strong convictions who believes in helping people. I am easy-going, understanding, and trustworthy. I keep in shape by working out and jogging. I’m looking to date a thirty-something woman who is reliable, loves music from the 60s and 70s, and enjoys the simple things in life. Married women need not apply. 9. Are you involved in any writing groups or writers’ associations? Have you found these helpful? What have you learned from them? I’m a member of Crime Writers of Canada and Capital Crime Writers, among others. I’ve attended writing courses and conferences offered through these associations and found them helpful. Their monthly newsletters keep me informed about events in the field and about how my colleagues are doing. I’m also a member of a critique group whose feedback I appreciate and value. 10. The last question is kind of a freebie... What is the one question you wish I had asked but didn’t? Now go ahead and ask and answer it. The second book in the mystery series featuring Megan Scott and Michael Elliott is titled FATAL WHISPERS and is set in Portland, Maine. The theme revolves around the shocking deaths of a millionaire’s beautiful young wife, a homeless woman, and a priest. I visited Portland several times and was impressed by its quaint New England characteristics. I knew it would be the perfect setting for the mystery I had in mind. Look for it in the spring of 2013! Thanks so much, Jill, for interviewing me on your blog. Your questions were insightful and fun! Have a great 2013!